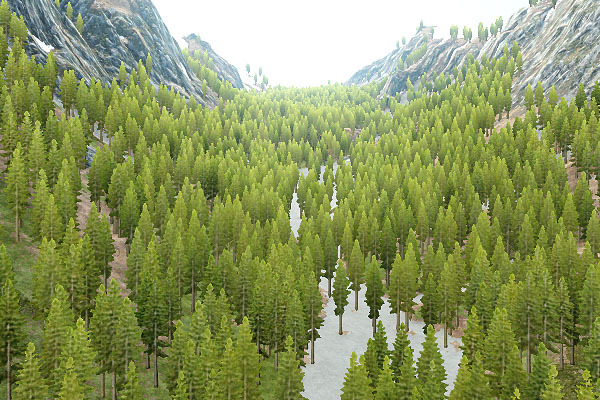 A grass_impostor_base material is used for vegetation impostors. 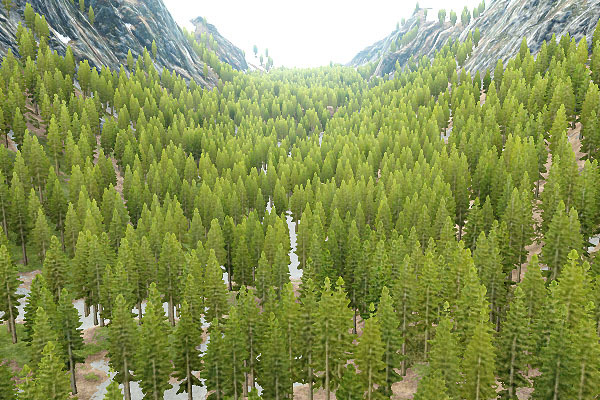 It can be applied to grass objects that, in turn, can be used as impostors for trees. 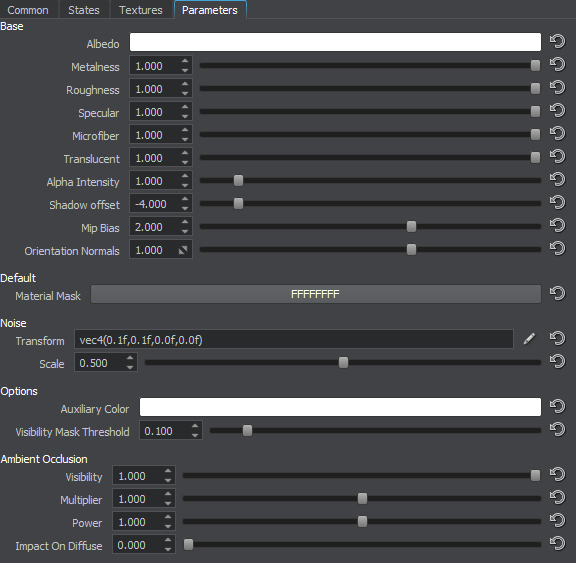 Enabling this option activates the additional Auxiliary texture and Auxiliary parameters. Noise activates spatial color noise texture, so the grass is colored according to it. The noise texture can add irregularity to the color of the grass field or it can color the grass. Enabling this option activates the additional Noise texture and Noise parameters. Ambient Occlusion enables the ambient occlusion that sets shading arising from the ground to the top of the grass blade. 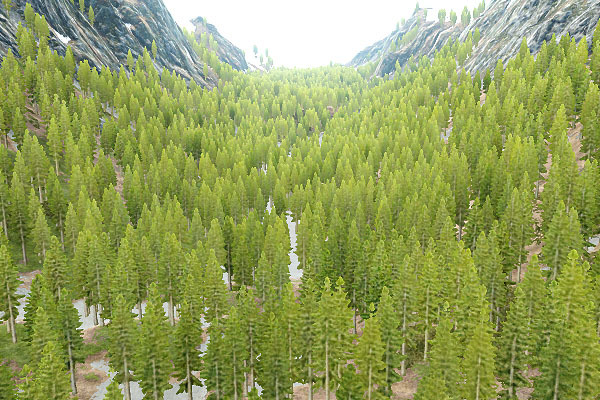 Enabling this option activates the additional Ambient Occlusion parameters. 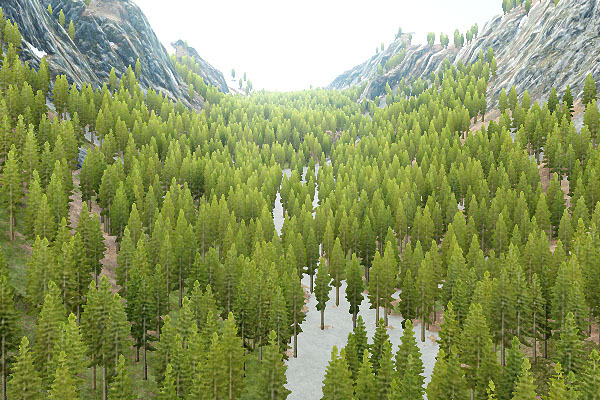 Normal Map enables the normal map for the grass impostors. This option is used to fake the relief on the impostor surface. Microfiber Map enables using of the A channel of the shading texture that stores the microfiber texture. Specular Map enables using of the B channel of the shading texture that stores the specular texture. Translucent Map enables the translucence effect and activates an additional translucent texture. Screen Aligned sets the impostor parallel to the screen plane. The option should be enabled for correct rotation of impostors when the camera looks down. We recommend you to use this option only when impostor rotation is required, as in other cases it may lead to visual artifacts. It is not recommended to enable this option when multi-monitor configuration is used: noticeable seams between monitors may occur. Lerp enables smooth linear interpolation of sprites when the camera rotates around the object. This state should be enabled, if the grabbed impostor textures store low number of frames (i.e. the Phi and Theta values are small). Up Direction makes impostors always pointing upwards. 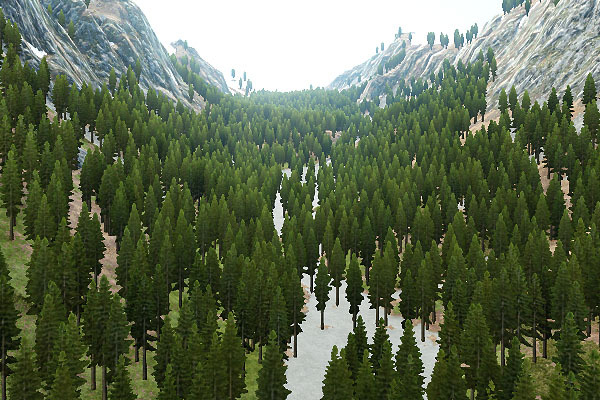 When the impostors are oriented along normal of the parent node (usually - a terrain), trees grow almost perpendicular to the terrain slopes. 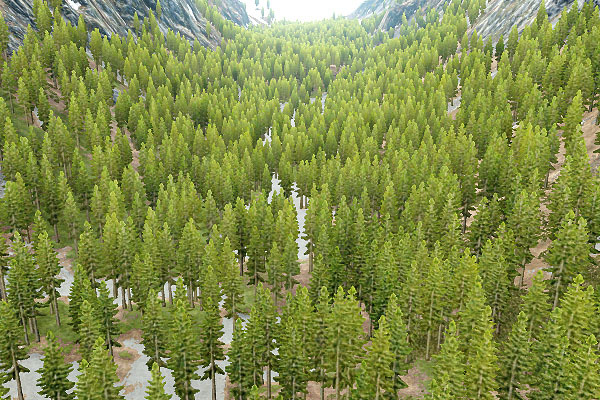 To make the trees pointing up, the Up Direction option should be enabled. At that, the impostors normals remain the same. 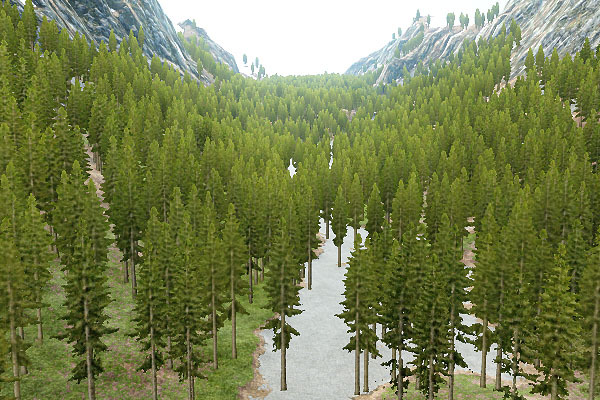 It allows you to get correct shadowing of trees impostors on the steep slopes. None - animation is disabled. Animation - standard animation is used. Field Animation - standard animation is used together with animation produced by Field Animation. 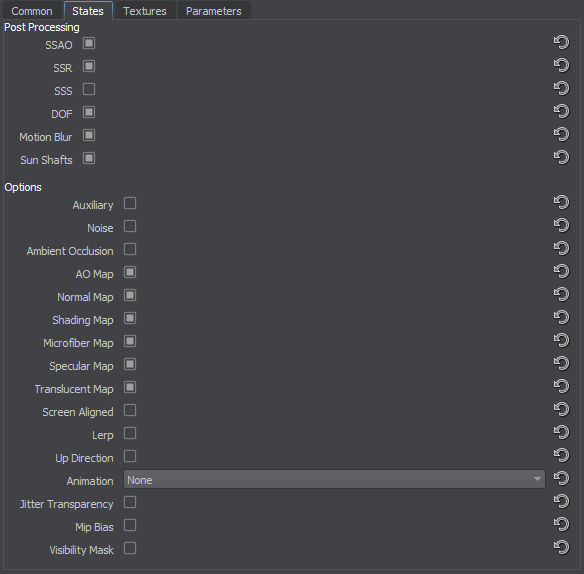 Enabling this option activates the additional Animation parameters. Mip Bias activates an additional mip bias parameter. It is used to adjust mip mapping. Visibility Mask activates an additional visibility mask texture and visibility mask threshold parameter. It is used to cut out grass according to the mask texture. Material SSAO enables screen space ambient occlusion. Material SSR enables screen space reflections. Material SSS enables subsurface scattering. Material DOF enables the depth of field effect. Material Motion Blur enables the motion blur effect. Material Sun Shafts enables sun shafts. An albedo texture that specifies the color of the impostor surface. To create an albedo texture for impostor, use Impostors Creator tool: the texture will be set automatically after generation. An alpha (A) value stores transparency information. The texture from this channel can be used only if the Specular Map option is enabled. Normal texture of the grass impostor. The texture is used to fake the relief on the impostor surface. To create a normal texture for impostor, use Impostors Creator tool. 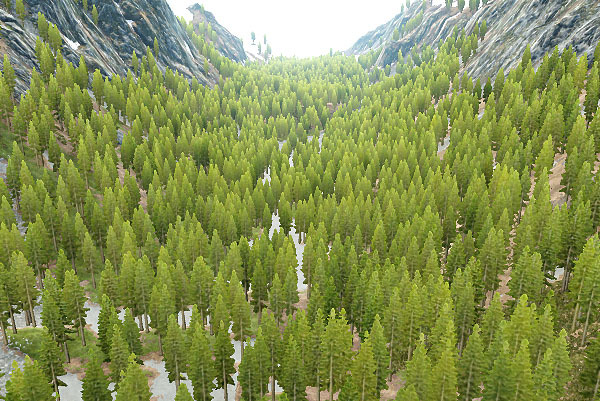 Ambient occlusion texture modulates the global environment illumination, for example, when an object is lighter at the top from sky above, and darker at the bottom from the ground below. The texture uses only R channel. Auxiliary texture is used for auxiliary rendering pass. The texture is available only if Auxiliary is enabled. Noise texture is used to color the grass (for example, to match the colors of the terrain) or to add irregularity to the color of the grass field. In both cases, the colors of the grass diffuse texture and the spatial noise texture are blended in the overlay mode. The texture is 3-channelled (RGB). The texture is available only if Noise is enabled. Visibility Mask texture is used to cut out grass. The texture is 1-channelled (R). 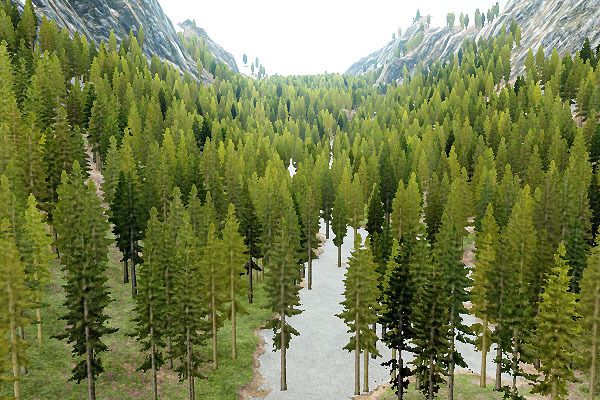 The texture is available only if Visibility Mask is enabled. Material Mask parameter specifies a decal bit-mask. If the material mask of the decal material matches the material mask of the surface material, the decal will be projected. Size size of the object for which impostors were grabbed. Pivot Offset offset of the pivot point from the center of the object's bounding box. Microfiber is a coefficient to scale the intensity of the microfiber effect (provided by the microfiber texture). This parameter creates an effect of the napped surface. The higher the value, the higher the microfiber effect is. Translucent is a coefficient to scale the translucent effect, which permits light to pass through the grass blades, but diffuses it so objects behind the grass blades are not visible. The higher the value, the more translucent the material is. Alpha Intensity is a coefficient to scale the value of the alpha channel of the grass diffuse texture. 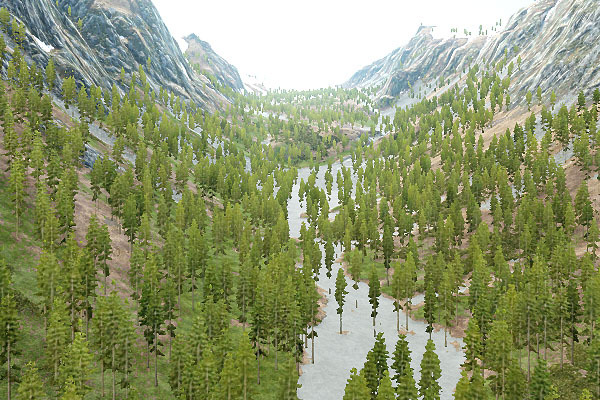 The higher the value, the bigger areas of the texture are rendered. Shadow Offset sets an offset of grass impostors shadows. 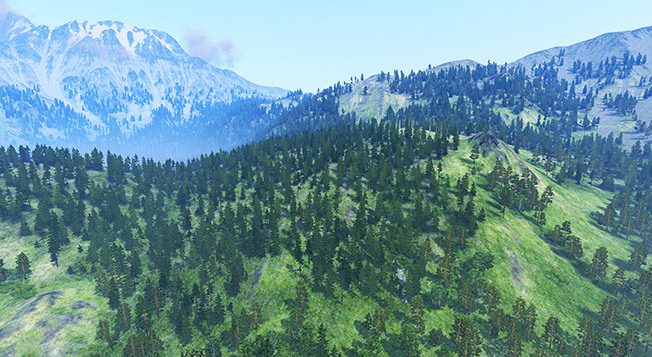 When the Up Direction option is used for impostors that are oriented along normal of the parent node (usually - a terrain), the normal map set for impostors is blended with the normal map produced by such orientation settings. Orientation Normals sets a coefficient of such normal maps blending. The default value is 1. The higher the value, the more intense the effect of orientation settings. Mip Bias is a coefficient for mip maps adjusting. Stem noise is a coefficient to scale a spatial noise that diversifies the direction of movement of the grass. 0 makes the grass move uniformly. Increasing the value makes the grass blades movement more random. Stem offset is a coefficient to scale an amplitude of horizontal movement of the grass. Stem radius is a coefficient to scale an amplitude of vertical movement of the grass. Stem scale is a coefficient to scale the speed of grass movement. Visibility specifies how the AO has influence on grass. Multiplier is a coefficient to scale the occlusion that sets shading starting from the ground to the top of the grass blades. The higher the value, the less shaded the grass is. Power is the rate of ambient occlusion appearance on the grass. Impact On Diffuse shows how ambient occlusion affects the grass diffuse texture. Available only when Noise is enabled. Transform specifies spatial noise texture coordinates transformation. Scale is a coefficient to scale intensity of the spatial noise texture. Color is a color for the auxiliary rendering pass. Available only when Auxiliarystate is enabled. Visibility Mask Threshold determines the threshold of the visibility mask texture. Available only when Visibility Mask option is enabled.